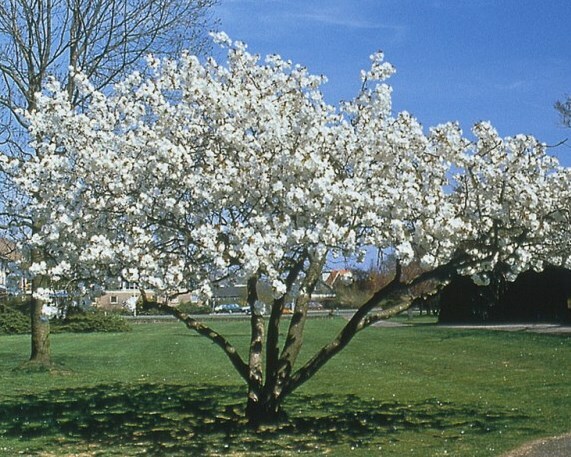 We have many trees available that are suitable for smaller gardens, in all shapes and sizes, evergreen and deciduous. 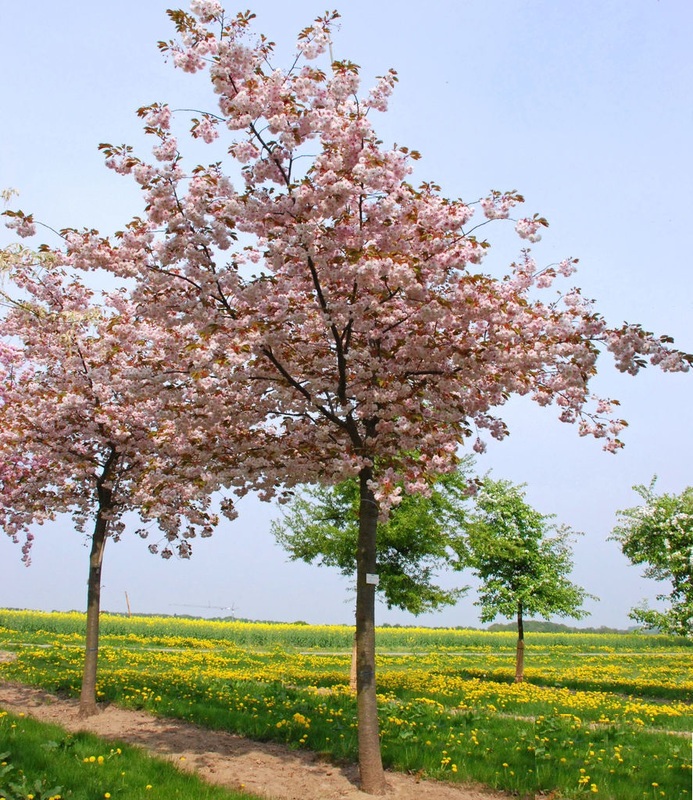 It is important that any trees chosen are right for their surroundings, in terms of proportion as well as for their decorative value. 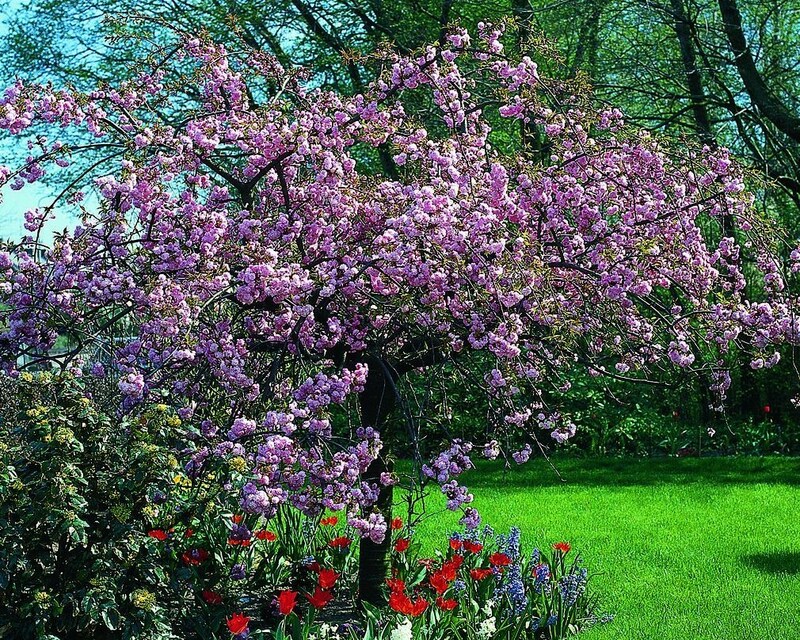 Here is a selection of trees for smaller garden, but also consider the space you have available. 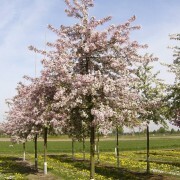 Trees with a weeping form rarely increase much in height; similarly consider a columnar tree, which will not spread appreciably. 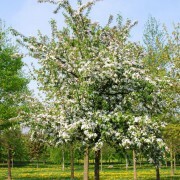 When do you want your tree to look good, what the ‘season of interest’; flowering time, foliage, fruit and bark. 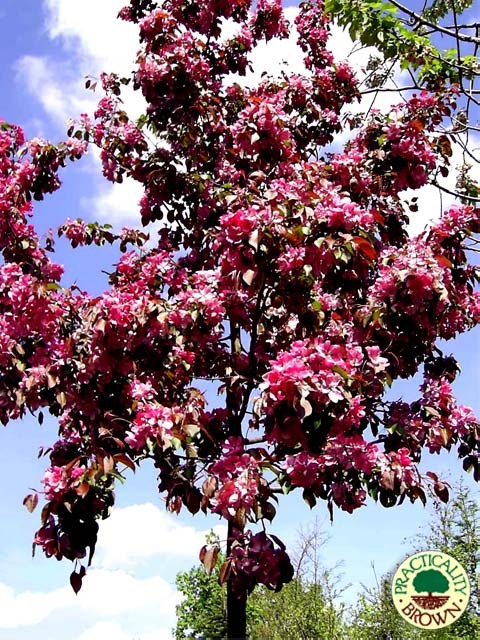 If you only have room for one tree ideally look for one with more than one season of interest such as fruit or autumn colour following on from flowers. 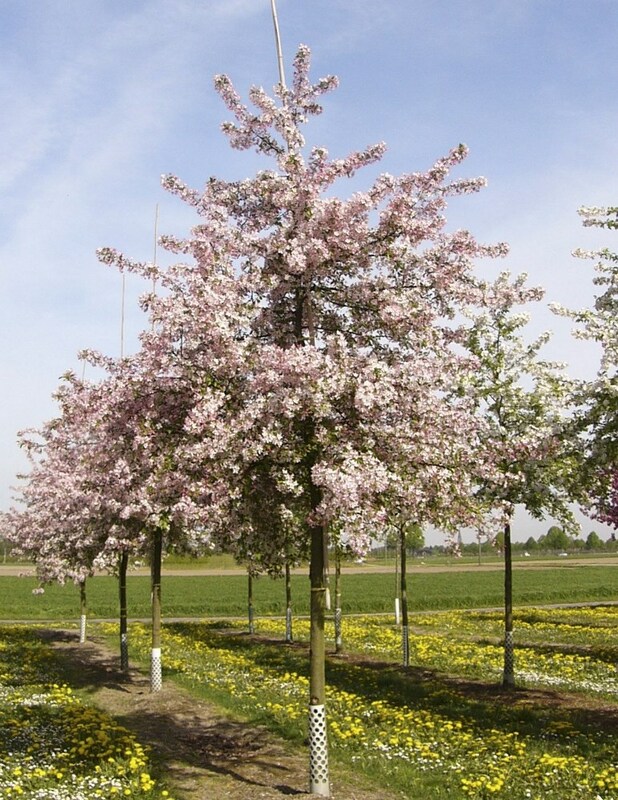 The Judas tree is a slow growing small deciduous tree reaching 4-6m tall and wide, it is funnel-shaped becoming umbrella like. 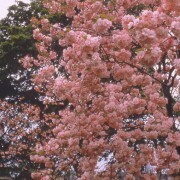 In April for 2-3 weeks fragrant, crimson-pink flowers appear in clusters directly on the stem and branches. Flat brown seed pods persist all winter. 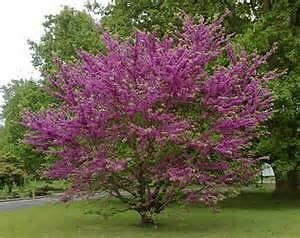 Cercis siliquastrum prefers sunny hot areas in well drained soil, its can be susceptible to frost, prefers calcareous sandy or loamy soils. 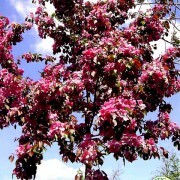 Tolerant to draught. 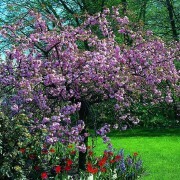 Cherries are attractive and versatile trees and their blossom is a welcome addition to the spring garden. 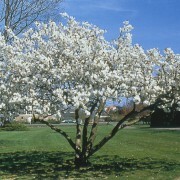 Blossom can vary from delicate, single flowers on bare branches to clusters of full-skirted flowers that almost weigh down the branches. 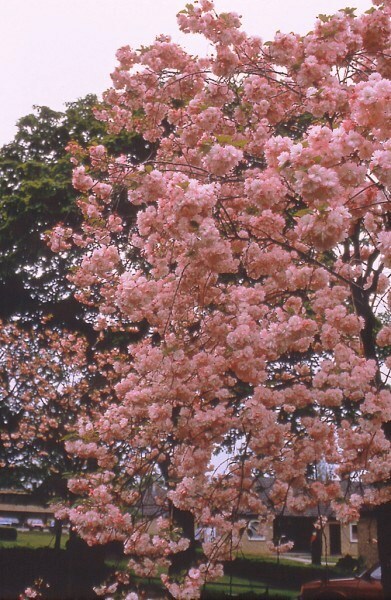 Many flowering cherries make good ornamental trees for smaller gardens, due to their modest size. 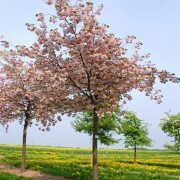 Plus many others, see our Tree finder for more details. 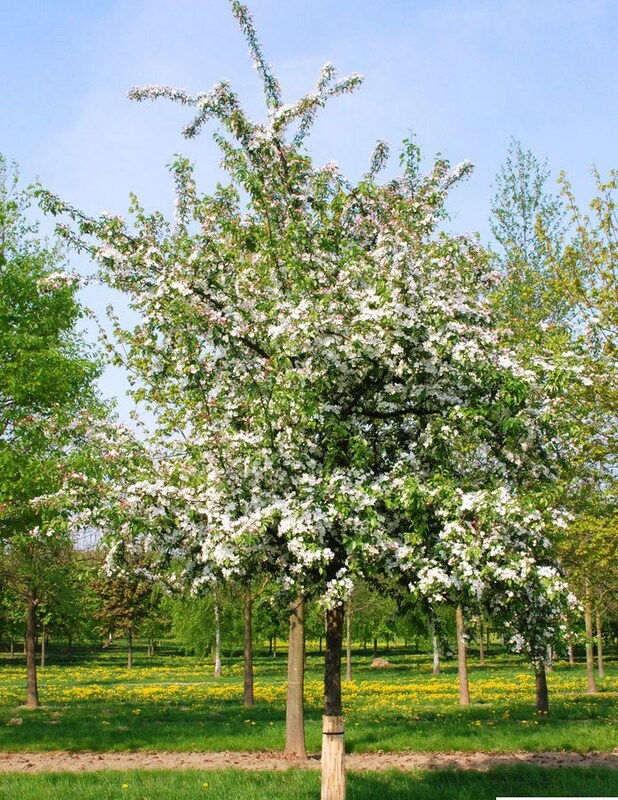 Please use the enquiry form with details of the trees that you are interested in and we will provide you with a bespoke quotation.